FREE Shipping on orders of $100 or more. Enter coupon code FREESHIP at checkout. Direct Ship from manufacturer - ships in 24 to 48 hours. Jacobean floral motifs and paisley leaves are artfully combined in this handcrafted valance printed on an all cotton cloth. 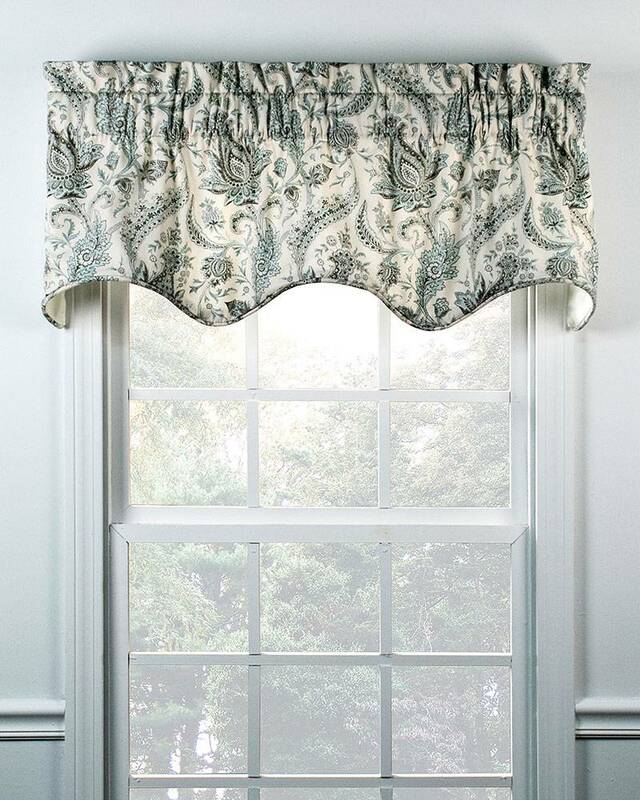 The Artissimo Lined Duchess Filler Valance is fully lined and boast a self piping trim that frames and accents the gracefully scalloped bottom of the valance. 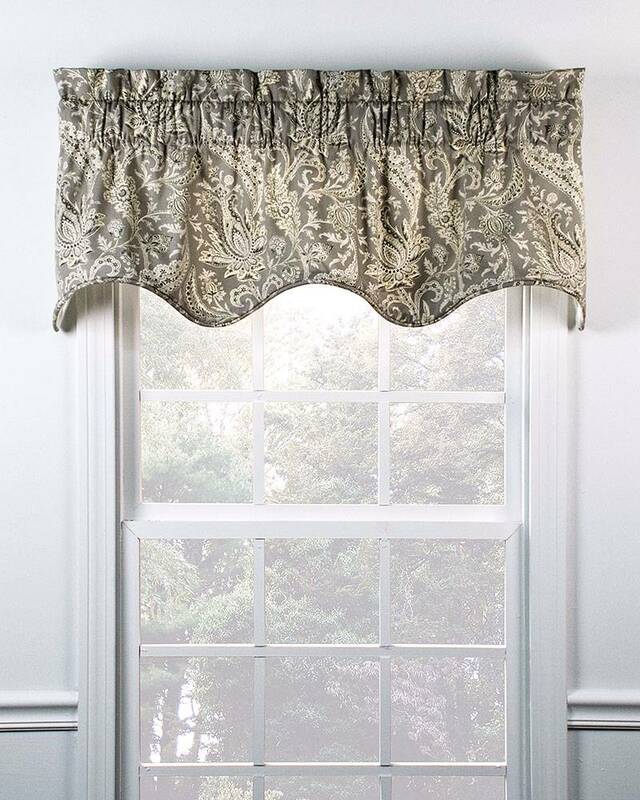 One Filler Valance will cover windows up to 40" wide. For wider windows, and for multiple windows that are being treated as one window, shirr additional valances on to the same rod. May also be combined with Artissimo Lined Duchess Swags, which are sold separately. Available in your choice of two easy to decorate with colors: pewter and mist.